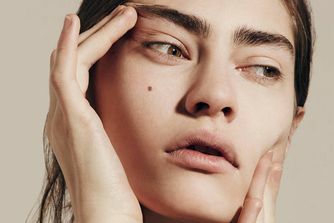 Alpha hydroxyl acids (AHAs) exfoliate the skin’s topmost layer for a brighter, more even appearance, while beta hydroxyl acids (BHAs) exfoliate the skin more deeply to clear pore congestion. Combined in one unique solution, these advanced acids offer extraordinary exfoliation to help battle blemishes and boost radiance. Notes: This formula contains a very high concentration of free acids. The Ordinary recommends use only if you are an experienced user of acid exfoliation and your skin is not sensitive. This is a great product, leaves my skin feeling smooth and soft. I suffer from cystic acne and this really helps to stop layers of dead skin and oil causing breakouts. It definitely has a gentle tingle when it first goes on but the sensation fades quickly. Always use these products sensibly is my advice. I’ve always looked for a mask/exfoliate that makes my face feel instantly smooth after. This one by far is the best. I can’t get enough. My boyfriend, friends and family are all using it now. We can’t believe how good it is and for such a good price. I’m onto my 4th bottle! I love this product, it works really well for my skin! My skin always looks so bright, clear and toned after I’ve used it. It does slightly sting on application but that’s not something that bothers me. I’d definitely buy this product again! What a product this is! I highly recommend this to anyone. I never thought a wee brown bottle could do so much to my skin and the price is fantastic. After many years of using Estée Lauder, I’m done with them now and switching to The Ordinary. AMAZING IS NOT THE WORD! Bought this to combat dry and dull skin. After one use my dry patches were smoothed, discolouration from old spots were faded and my skin looked peachy. I have used it twice since I bought it along with Hyaluronic Acid to hydrate afterwards and my skin has never looked better. My skin can react sometimes to new products so I left it on for 6 mins the first time and it was fine so went for the full ten mins the second use. It is quite thin in consistency so you don’t need loads. I would say less is more as u can add more if need be. The bottle is small but should last ages using it twice a week as recommended. Definitely worth a try at this price. I recommend this if you suffer from pigmentation. I had pigmentation on skin from previous acne spots and all the marks are gone thanks to this. Always makes my skin look and feel beautiful after using it. I must preface this by saying that I love The Ordinary products. However, being so potent, some can be too aggressive on my sensitive skin. Not this peeling. I have used a full bottle of it and it clears dark spots and leaves my skin brighter without any residual tightness or irritation. This product worked wonders for me. It seriously minimised the pores on my nose, which usually look massive, and is really helping the bumps underneath the surface of my skin to go down. I would recommend applying a moisturiser or oil after you have washed the solution off however, as it can be fairly drying. I have sensitive skin so was slightly wary about using this, but I can honestly say it has been one of the best products for my skin to date. For the price point, I could not be happier. Absolute must for me! This is seriously holy grail among other products! it does its magic, it´s unbelievable! Listen, i have dry and sensitive skin and the first minute it always annoys me and i´m fighting to not wash it, but after that minute it stops.I wash it after 8 minutes, my skin is immediately radiant, nourished, small wrinkles look like they are about to disappear. My skin the next morning is worth magazine article ,,how to get glowy skin" I wish I could use more often haha, I only use once a week due to irritation at the beginning. Seriously, best thing ever! I love the peeling solution it tingles a bit on application but it’s worth it. You can see the results, as the next day my skin looks brighter and seriously smooth. This is probably the best Ordinary product I've tried so far! No-nonsense ingredients and a super nice and soft feeling upon removal. Not a miracle product but really nice to have for the occasional (or regular) acid kick. Also, I certainly leave it on longer than 8 minutes (I am quite acid-tolerant though, proceed at your own pace). Will certainly buy again! I’m dark skin, oily combination. Lately during the cold season my skin has been very dry and I also suffer heavy with hyperpigmentation. After the first use I could see an immediate difference in the texture of my skin being a lot smoother. Within a months use my skin is thrivingggg! It looks so healthier and nourished. I use it once a week and it’s honestly my favourite skin routine and the best product I’ve ever used. My hyperpigmentation has gotten a little lighter too (I also use Alpha Arbutin & Azelaic Acid in my regime). Would 10/10 recommend it to anyone! I used it just like the directions but it is not what it is showed like in the user comments. İt has been 2 weeks since I had started and maybeee a little bit disappointed but I still have hope for this product. Wonderful, thank you so much. İlk kullanimda bile sabaha puruzsuz bir ciltle uyandim. Simdiye kadar kullandigim en iyi urun *** Even in the first use, I woke up in the morning. The best product I've ever used. I have sensitive skin but this really did not irritate it. My skin looks fab and refreshed! This peeling is absolutely amazing. I've used it three times, and my acne scars are really lighter. I love this product and I'm definitely going to buy another thing from The Ordinary. I loooovve this product!! I use about once a week and can see the reduction of fine lines around my eyes after every use. I used a light application for my first time but now lather it on quite thick, no bad reactions what so ever! I really like this product because it does what it says. It helped clear my skin. Before this product I tried the murad exfoliator which didn't do anything for me. I would 100% recommend this to anyone and I also hooked some of my friends up. They all love it. The only downside is that it really stings when you put it on. At first I couldn't take the pain so I didn't use it as much. But now my skin is more used to it. So don't leave it on more than the required time. I've used many different face treatments including glyconic acid and had quite a lot of derma-roller sessions and then came across this product and received it yersterday and couldn't wait to use it. I've got uneven texture under my eyes below where eye bags would be and the glyconic acid and dermaroller didnt do much to improve this area but i was amazed at the difference after just one application of this, the area had smoother texture and my face looked better and plumper slightly tightened without feeling tight. I had a compliment when out today and was told my face looked radiant and I've never been told that before. I also used it on the back of my hands which has a bit of crepeness and its made a difference. I wont waste my money on any other treatment now and will make sure I've always got a supply of this brilliant product. Makes skin feel nice but had no peeling effect on me. Love it! My skin is smoother, brighter. Pores are less visible. Also works great with first wrinkles! This product has been wonderful thus far! When I put it on, it does tingle at first, but other than that, I have experienced no other side effects. I think this product has really resulted in my skin appearing brighter and glowing!! My skin congestion has also improved drastically since using TO's products! Yay! Love this product! I use it once a week and it makes a huge difference in getting rid of redness and leaving an overall clean and exfoliated face. Skin is left feeling smooth and fresh every time. Hormonal acne prone & sensitve skin with texture and scaring. This is amazing, even got my fiance hooked! Holy grail. I use this one more rare, because it's strong.I leave it on for no more than 10 minutes and then my face feels so refreshed and lovely.it looks great too, haha, I love the bloody color. I bought this as part of my intro to the ordinary. I’m impressed because I’ve spent a lot of money on other brands and this does a great job, better than the more expensive highly advertised brands. This does tingle the skin a little on application, but it passes and the result is fresher feeling skin. So impressed. Been using this twice a week for about a month and I love it. It does tingle slightly for a minute after applying but my skin looks & feels so much better after! I've used it for 2 weeks now and I can already see the results! My skin looks so much better! I use this twice per week in conjunction with other masks from Biologique Recherche and my skin is fresh, renewed, smooth and a freer from congestion. I recommend using this at night and leaving it on until it dries. It will tingle, but that is your skin's PH getting used to the product. Use it once and you'll feel like you have a whole new face, after a week skin is consistently brighter, smoother and pores are smaller. 3 of my friends have started using it, I wouldn't go without it now. I’m in my early 40s, have combination skin without any major problems, but I do have enlarged pores on my cheeks. This product makes my skin soft to touch and skin does look refreshed right after use so for that I give it 4 stars. But I haven’t noticed much improvement on the pores yet, after using it 1-2 times a week for two months. Me skin now looks much better! Thanks a lot! My skin was much smoother after use but didn't really diminish scars or marks as I expected it would. I've been using this for 4 weeks. The texture of my skin has improved but I still have at least one whitehead around my jaw line every week. Best product I have used so far.. I decided to try this one because I have some other product from the Ordinary and I am happy with them and I also read a lot of good reviews about this product. I thought that this one could help me with my acne marks! I am using it once /twice a week for no more than 10mins and I am enjoying it.I don’t mind the smell and the red colour is fun for me. I feel like I am having a mini SPA session at home. Made my skin feel brand new! This product is amazing, I'm 47 and have pigmentation from age and hormonal changes. After two uses the pigmentation is evening up and my skin feels as soft as it did 20 years ago. I've also notices how much easier and nice my makeup and moisturizer goes on, goes a lot further and my make up sits better and more evenly. It's amazing the difference these products have made, more radiant complexion and a youthful and healthy glow. I don't even feel the need for makeup, maybe a touch of eyeliner and a quick sweep of blusher/bronzer and that's it. In total, I spent around £30 on the four products and already has achieved as much as a one of £95 medical cosmetic facial I had trying to tackle the general lack of radiance and pigment issues. Amazing! Genialny produkt za niewielką cenę :) "A brilliant product for a small price :)"
I got this in the mail this morning and have just washed off the mask after a ten minute application and I’m in complete shock. I’ve struggled with hyperpigmentation around my mouth and forehead since I was little and even after just one use I can genuinely see a difference; my skin overall looks more even-toned and glowy and even my acne scars look a little lighter. As a teen I also have some textural issues with my skin especially under my lips but it’s so smooth now! I’m so impressed, I can’t wait to see the results after long term use. I ordered this product for peeling my face but unfortunately I couldn't leave it over my face even 30 seconds, it made my skin feel uncomfortable and I don't know why. I’m impressed with all the process. Shipping very fast I received my parcel in 7 days. Excellent peeling mask. I use it twice a week and always have smoother skin after I wash off the mask. I also use it for my hands and feet and it softens my skin in both areas. Be sure to moisturise heavily after use and use adequate SPF. I will definitely reorder it. I’m highly impressed with the Ordinary products I have purchased. I’m also impressed with the Pixi Glow and AHA Gold. I use both. Thumbs up to Cult Beauty. This product is absolutely amazing! It makes my skin soft and clean. Use this twice a week. Always leaves my skin soft, would recommend. I use it 1-2 times a week. It does a good job, and my skin is softer right after using. Despite the strong tingling, it doesn't irritate my skin. But, I wouldn't recommend it for sensitive skin. I used it twice a week, it was amazing! My skin looks very dewy and smooth after washing it off. But I won't recommend you to try if you have sensitive skin. One of the most effective treatments I have used to speed up the process of clearing hyper-pigmentation. Have tried numerous acids and this product always impresses me. What's not to love about this miracle in a bottle?! I tried it earlier this year and I just finished my first bottle. I use this peeling solution weekly no more than 10 minutes to achieve dewy, clean and Acne-FREE face. I stopped going to get facial(s) due to this because my face turned out amazing with this! This is a strong acid meant for an advanced acid user, therefore if you are new to acid(s) do try with a milder acid first like Mandelic/ Lactic/ Glycolic Acid before trying this. This mask will have you glowing for days. I can't believe how affordable it is! I'll be purchasing backup! If you are prone to hyper-pigmentation then I HIGHLY recommend you include this product in your skincare routine. LOVE! This peel is terrific! It's not harsh and doesn't sting your face, but does leave skin looking brighter, tighter, and glowing! I am just so happy with my skin every time I use it! I use it about twice a week, but I wish I could use it every day. A thin layer is all you need. Good product, considering it's price. It's all different, but my skin was ok after the first use. Recommended to use in the evening so you can get rid of any redness overnight and avoid sunlight right after the procedure. Easy to use. It gives good results in long term, my skin got better after almost a month. Never suffered from acne but struggled with pimples from occasional cheat meal. Healed everything, however the skin tone is still uneven. Compensating with soothing treatments. I might be 26, but I just got ID'd at the airport and I'm 100% putting it all on to this product. I've only used it twice but it's managed to sort out some of my finer wrinkles and make me appear younger! So happy, that I've recommended it to my mum! I can see what all the hype is about. I was terrified to try it in case it burnt my skin but I was so pleasantly surprised. Only a mild tingle and it leaves my skin so soft it's incredible. Time will tell if it will reduce marks but this will be in the permanent rotation in my routine. Winner. This guy right here is amazing. Makes my skin so soft and glowy. Never tried something like this before. A little miracle in a bottle. Helps with my acne scars as well. I have been through my first bottle and have ordered more. I use it along with glossier exfoliating liquid and I have noticed my scars are fading. I have slightly oily to combination skin and it does peel my skin so I do not skip my moisturizer to avoid looking flaky. I have been using it almost every day. Very good peeling, but very powerful. If you have sensitive skin, like me, use just for 3 to 5 minutes and you will be OK! Very good for smoothing feet, too. Let it on for 10 minutes then dry your feet with a hand towel and moisturize with a heavy duty cream...they will feel/look amazing. I love my skin now, it is glowing and smooth after 1 month use. Let me tell you something! This product is everything it works so well for my dark skin and it literally is clearing my blackheads and pimple scars. I have never used a peeling like this. I was worried it would be too strong my skin. But I used this and I love it. My skin is very glowing right now. I’ve had cystic and hormonal acne for the past few months. I’m 17 years old. Other products have helped decrease the size of my acne but this product has caused my scars to go. My skin feels so smooth and I usually have congested skin. After using the product, my blocked pores are easier to clean out. I don’t know if it’s just me but my skin feels tighter and pores appear to be smaller. Great product. It’s better for encouraging skin turnover and getting rid of scars. Exfoliation is key and this does it well. BIG DIFFERENCE FROM THE FIRST USE. I’ve never used a peeling solution before so I was very unsure what to expect. I was also worried it would be too harsh for my sensitive skin. However, this product is brilliant. So far, I have used it twice and each time my skin had looked brighter and plumper. The pesky blackheads on my face are beginning to break down and I anticipate that after a few more uses, that they will be completely gone. Whilst there is a slight tingle on my skin from this product, it isn’t at all too harsh for my skin which I’m so pleased about. All in all, another brilliant, effective and inexpensive product from The Ordinary. Love using this product once a week. It does tingle at first but my skin is so so soft afterwards! I have very tolerant skin, it can handle a lot. if you have sensitive skin id try 8min, twice a week tops. I use this peeling solution about 4 times a week. I love using it after a shower. While your pores are nicely open. (just make sure your skin is completely dry). I never experience any redness afterwards, it's actually brightening! I have just used this for the first time. I found it fairly stingy and once I took it off (after 7 minutes) My cheeks looked quite heavy and were very red. I've heard great things about this and will continue to use it, but the first impression is not the best. I can't really say I see mind-bending results, but then again I prefer milder acids, more like toners, to use them daily. I can't be asked to be consistent with masks :/ I believe in day-to-day skincare. But still, when I have nothing else, I use this and it has never given me any problems, never broke me out, never gave me a rash. I got a red cheek once but it was gone overnight. I'm really shocked at such mixed reviews on this product, I guess everyone's skin is different though. I used this for the first time a few days ago and every day my skin has been looking better I can't wait to use this peel again next week. My skin looks brighter and so clear. I had lots of congested hormonal spots under the skin on my chin and these are all clear. This product did sting a lot when I applied it but it's worth the pain! I wouldn't recommend if you have sensitive skin though girls. Amazing price too, I have masks in my bathroom from La Mer, origins, khiels, glam glow - I'm a total skin care junkie and nothing has given me such baby skin as this! After only one use I am absolutely won over. Easy to use, slight tingling but nothing crazy. Even immediately my skin felt a lot smoother and the morning after it feels glassy, looks so much brighter and clearer. I have struggled with the texture of my skin for a while but this has sorted it out in a single evening. My skin has been absorbing moisturiser like a sponge, so I'd say be armed with your richest! I am using acids for more than 5 years and my skin is used to them. I have not experienced any bad reactions at all. It purifies my skin very deeply. When I rinse it off, I do not see a big difference. But the next morning I woke up with a brighter and clearer skin. I hate the packaging though, it is not convenient to use. But as it is very inexpensive, I can not complain much. Amazing, made my skin bright and smooth. Used this 3-4 times now and absolutely loving the results! Skin is a lot smoother and the little under the skin blemishes I had have now almost disappeared! Definitely recommend! Didn't help with fading my acne pigmentation and skin texture. The perfect pick-me-up for my skin if I've been slacking on my skincare, not drinking enough water, or generally am looking dull. I find it brightens my skin considerably without breaking me out too much, the results are instant, gives me skin like glass. This product is amazing. Might sting a bit, but the results are outstanding. This product is the bomb! I never see my skin as radiant as when I used this product. I have normal to combination skin type and it doesn't strip or irritate my skin when I use it for the first time, leave my skin feeling soft and exfoliating. I Thought It Was Weird, But It Works! I've had nothing but good experiences with The Ordinary skincare – you MUST try the Advanced Retinoid 2%, by the way! – but I was a little nervous about trying this product. The warnings it came with and the blood red colour (I felt like a vampire with this on) had me a little reticent, but I'm SO glad I tried this! I've never experienced such immediate results with a product before: I tried this on at night and I woke up with brighter, radiant and visibly clearer skin, all within a few hours! Magical. My skin did tingle a little bit upon application, but it wasn't red or sensitive afterwards – and I've got terribly sensitive skin! A must try. Was really not expecting anything from a product at this price, and it has blown me away. From the 1st use I noticed a massive result, flawless fresh and radiant. I have tried everything for my spotty oily skin, from dermolagica, skinicican, payout, pixi. And this is the only product with proven result. This product refines texture like no other I've tried. Any product used seems to penetrate so muck better. I have oily skin and I saw a difference after the first use. It does sting for the first 20 or so seconds after application, so a patch test would be a good idea for those with sensitive skin. ADORE this product. It's working really well on my skin. Doesn't sting very much and smell is ok. This product has been working really well on my skin so far. My skin looks brighter and healthier. It burned the first few times I applied it though. Was using Alpha H products but wasn’t a realistic go-to due to the price. This has definitely taken over! I find it doing wonders for a quarter of the price I loveee it!!!! I bought this after reading the reviews as I suffer from severe pigmentation and my skin just looks tired a lot right now due to a few factors so I was looking for a pick me up. But although my skin feels and looks good after I feel as though it doesn't last very long. I have been using this after a peel to penetrate the skin more and using Hylauronic Acid afterwards but it's short lived. Might be different for others but I'm looking for something stronger before resorting to fillers, etc. as I'm used to using a lot of different products e.g. Microdermabrasion and other peels so was probably expecting too much, just gives me an excuse to try their other products. Great for the price and I would recommend especially if you're new to this type of skincare. I haven't had much luck with Ordinary products. I was going to give up trial and testing them, until this! This peeling solution does wonders for my Rosacea, every time I use it I can clearly see and feel the difference. I love all products from The Ordinary. This one does wonders, or so I've heard. It feels like it's doing the trick. Pores have shrunk and pimples are at bay. Let's see what happens with a few months of use. This didn't sting at all. I was super comfortable for the whole 10 minutes. If anything, the smell bothered me but i am very sensitive to smell. I have dry sensitive skin and i was fine. Makes my skin smooth and radiant. I cant say it works any different that any other leave on mask. I am smooth and radiant after a neutrogena mask too so I don't know if this product does anything different. But it is fun to use and the color makes for some fun selfies. I was slightly red in the cheeks the first time using it. If you are buying this product for black heads... it wont work. Slight tingling, I have sensitive skin however my skin feels exceptionally soft and smooth afterwards. There is no miracle but I love to use this peeling solution. I see tiny changes every time and I like it. It makes my skin look a little bit brighter. The best exfoliating product! It leaves the skin bright, smooth and soft without irritation! I buy it constantly and it has made a difference in my skin. Love it! This brand is top quality with products that really work! Works well. Slight tingling at first but nothing unbearable. I have sensitive skin and it worked well with me. Not gonna lie does burn a little bit when applied to sensitive skin after light exfoliation but THIS HAS DONE SO MUCH FOR MY SKIN!! Twice a week, one pump, works wonders. Considerably less break outs but still doesn't get rid of my pesky blackheads but makes my skin super smooth and really helped with my skin texture. I have really sensitive skin and its working great for my complexion. Just keep in mind to use it only once a week. Twice is way too much for sensitive skin. This is a strong peeling: it tingles when applied on the skin (the first time I had to wash off immediately), but it works. I use it once every two weeks (my skin can't take more) and it makes my complexion lighter and brighter. But beware if you have sensitive skin as it might not suit you, or build up you tolerance little by little. I love this product, it's tingly going on, and the next day my skin feels the start of the peeling, finishing by the evening. I find lots of white bits coming up, that would've blocked my pores to become pimples. It's great for usage in the weeks in between my professional peels. Such an amazing product at this price point! Works phenomenally well by removing dead skin and makes the surface of your skin so smooth. Must try! When I purchased this product I was scared that it may cause a reaction, but then when I tried it, it was amazing. I have only used it twice but I can already see the improvement on my skin. I was very curious if this product is as good as everyone saying. And I’m glad I ordered it. My skin I so glowing and soft. My acne scars are lighter and I don’t have any new breakouts on my face. Probably too soon to leave a review as I've only used this about 5 times so far, twice a week but I have to say it bloody stings my skin for the first few minutes! (I do have sensitive skin when it comes to products stinging) but I have seen good results when I wash this off! Get ready for a red face! Only having used a couple of times inline with my other products it seems to be working pretty well. I really like it, it tingles a bit, especially around any problem areas, but it works amazingly! Smoother and softer skin, dries out any break outs i might get. But do not use it on damaged skin, it will burn. I will definitely repurchase! I can say this is one of my favourites in The Ordinary skincare range. I've just used it twice and I can definitely say it's by far the best skincare product I've ever used. Big thumbs up for this peeling solution. This peel is amazing! I use it once a week, and wake up to a much improved complexion - glowing skin, less congestion and a much smoother complexion. Who knew you could get such great results at this price tag? During use I feel a little heat in my face, but nothing more. There's some redness after, so definitely a night-time product! Аромат фруктовый приятный. Не жжёт при нанесении. В первый раз когда будете им пользоваться, лучше минут 5 подержать, не больше. И если Вы себя плохо чувствуете (температура, насморк, кашель), то лучше этим пилингом пока не пользоваться. Подождать пока выздоровите. ***Has a pleasant fruity aroma. Does not burn when applied. The first time you use it, it’s better to leave on for 5 minutes, no more. And if you feel unwell (fever, runny nose, cough), then it is better not to use this peel, wait until you get well. I have pretty sensitive skin but I did not have a bad reaction to this product. It does tingle a little and there's some redness afterwards, but my skin starts glowing after all of that passes. The next morning my face is smooth and my hyper-pigmentation is slowly becoming lighter. I was using Drunk Elephant Baby facial before a friend of mine suggested I should use The Ordinary peel. I was sceptical because I am very happy with DE products' results. But I gave it a try, and now I'm hooked. After the first time using it at night before bed and marula oil, my face was glowing the next morning. The quality/price ratio can not be compared to any similar peels I've tried so far. Highly recommend. 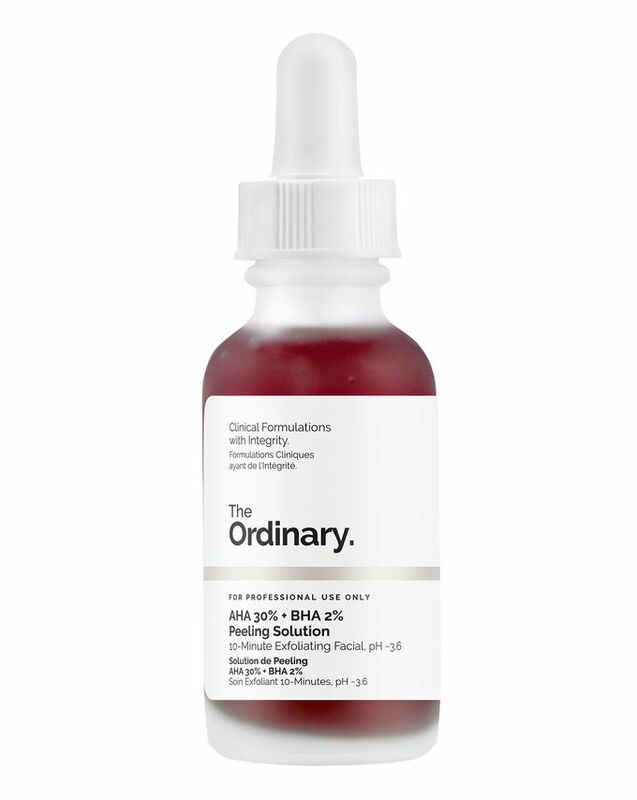 This is a super hit product from The Ordinary. My 2nd bottle. Love this product & will purchase more. Highly recommend! Excellent results and great price! This product is amazing and it leaves the skin looking bright and fresh. I’ve purchased a few ordinary products and I’ve not been disappointed with any. Highly recommended for any age, especially the more mature skin. I never leave reviews but honestly the ordinary products are amazing, after using this for just under 6 weeks I can say I’m truly amazed at the results. My skin has cleared from breakouts and looks so radiant. I use this along with other products from the ordinary such as Buffet , Lactic Acid and a few others. must buy. A must have for mature skin types, just 10 minutes once a week and that's it, better than any other mask. I’ve been using it since I received it last Nov. 26, 2x a week. Every time I use it, I feel a little tingling sensation on my skin but it’s not that much because I’ve tried way more harsh chemicals than this. So it’s nothing I can’t handle. After every wash, my face feels so smooth and my sensitive, acne prone skin really loves it. I thought it would aggravate my acne but it didn’t (knock on wood). LoL. Will definitely buy it again. My skin has a noticeable glow to it. My texture has improved greatly and my stubborn acne pigmentation has reduced drastically. I’m going to use this product forever. Amazing is a small word to describe how amazing this product is. It tingles a little but clears the skin like magic. It's a mini facial in a bottle. I am absolutely delighted with this product. I use it twice a week and I feel that it has made a huge difference to my complexion. I am in my 54 and my skin has never been so good as it is now. People I work with have been commenting on my complexion and asking me what I use for my face. Very happy customer. I have had a stubborn texture for years, small bumps and uneven texture. Once you wash off the mask the results are not immediate, but a day or two later I noticed my small bumps drying up and falling off ! Even small spots dried up and just fell off. Now I'm left with almost no bumps and VERY smooth skin (just after 2 uses). Would definitely recommend to anybody with the same skin problems. This product does as it says, would not recommend however for sensitive skin as certain areas become quite irritated quickly. But definitely leaves skin glowing and soft as described. Its true to its description its a mild peeling solution and safe to use home. I didn't really experience peeling but my skin feel so clean and soft after using. It’s a cool product, smells a little spicy but is nice on the skin. It didn’t feel like much was happening until I rinsed it of, my skin was smoother than before and felt more clean. I don’t feel like it did anything noticeable with my pores, which it claims to do. I use this once a week along with regular use of other The Ordinary products. I have noticed the pores on my nose have shrunk and those on my cheeks have reduced dramatically. It is easy to apply and as another reviewer mentioned, has a pleasant tingle about it upon application. My skin feels amazing after use. I was a bit skeptical at first to try this, but then I went ahead and purchased, and the best decision I made. 10 mins is ample time, leaves me with fresh baby skin, it clears my skin, and I like the tingle, it means its working :) I use it every Sunday evening! If you purchase anything from the Ordinary range. This is your number one product. This product has helped clear my skin in one week. Yes, it is a bit harsh on the skin but it is worth the "burning-tingling" is so worth it. BUT, keep an eye on your skin and listen to it as well. This is an acid-base product! I have fallen in love with this product and it will definitely be a staple in my skin regime. Decided to give this a try to help with my congested forehead. I have definitely noticed a difference in the texture of my skin in my "problematic" areas (congested t-zone) but also in the areas of my face/neck which are otherwise good. The mask has a nice tingle to it upon application and leaves my skin smooth, glowing, and not stripped at all. Maybe if you had sensitive skin it could be too harsh or leave it on for less time....but it's brilliant! Skin looks amazing after. I will be repurchasing which I never really do, nothing ever seems to amaze me that much but this was brilliant especially for the price! Before using this product, I had a relatively clear complexion but a few problem areas, Now my face is covered in unsightly red spots! I've only used this 3 times so far, so I will continue to use for a few more weeks, but I'm not holding my breath. I'm starting to wish I'd never started to use it. Este produto superou minhas expectativas! Quando aplico na minha pele, sinto que ela fica com a aparência mais saudável! Amei o produto. "This product exceeded my expectations! When I apply it to my skin, I feel it looks healthier! I loved the product." Love,love,love this product. I have definitely seen the difference in my skin, even texture and more radiant for sure. Will definitely recommend this product, It does exactly what it says on the instructions, from the tingling sensation to the boost it gives your skin, to the soft texture for sure. I have been suffering from acne for while now (on medication) and I have found this product has helped to reduce the redness left from the blemishes that once covered my face. If you are a beginner and not used to strong acids on your face, I would not use this straight away as it can leave a slight stinging feeling, especially if your skin is sensitive and not used to strong acids. I use this product twice a week, more towards late at night and use The Ordinary's Niacinamide product each day (would recommend to anyone with acne prone skin). For £6 this product is pretty inexpensive and definitely worth a try. I'm glad I tried this product as I shall be repurchasing. I'm in my twenties and about a year ago I got acne for the first time in my life. Nothing has worked to clear it up. I've used the peeling solution 3 times now and my blackheads and acne have started to clear up. I do think that this product (and a few other acids) might be a new holy grail. I really am disappointed with this. I'm not sure why (possibly due to a change in contraception/hormones) but lately my skin is regularly breaking out in acne- something that I've never really experienced before, especially not to the extent it is at now. After googling products to help with acne, this one came up so I had a look through the ingredients and the reviews. Although the reviews are quite mixed, there are so many amazing reviews that rave about how great this was and how amazing their skin now looks and feels. I was really excited to try it- especially as it's only £6, it's not a huge investment. However, I am disappointed. I really was expecting big things, but literally, there is no difference in my skin at all, if anything it looks worse (but I won't blame that on this product). The first time I used it it did sting quite a bit, but I liked this as it felt as though it was working. But after using it multiple times over the past few weeks this product really hasn't made any change at all, not even just to the overall appearance or texture or my skin. I'd say for £6 it's worth trying as so many people have had great results, but I personally wouldn't recommend it as unfortunately, I've seen no results from this. Left with clean and brightened skin. Makeup applies a lot smoother. I wish I could give 0 stars. I always had a nice skin. I am 24 and I NEVER had a breakout. Ever. This brand made my perfect skin a breakout with cystic acne and I am still struggling - it's been more than a month since I stopped using it. HATE IT! I love this! It makes my skin's texture silky smooth after I cleansed it. Must have product for every human being who loves to take care of their skin. I love this peel, I use it once a week and find it very effective for unclogging pores and resurfacing skin. It is strong, so I make sure I use very simple, non-irritating skincare afterwards and the next day as well. I have only just started using this product and I love it. It makes my skin tingle which at first worried me but I haven’t had any reaction and judging by other reviews this is normal. It’s so easy to rinse off and it leaves my skin feeling so smooth with a nice glow. I can’t wait to see how my skin looks after continued use. I used this once on the clean skin, I had no spots just some blackheads. I applied this for the recommended amount of time and washed it off. My skin began to itch quite a lot and about two hours after washing it off my face was covered in loads of small, red spots. Took a week and a lot of retinol to clear it up. So definitely test this on a small patch of skin before covering your entire face with it. I'm usually very skeptical about products. Tried this on a whim for the recommended 10 minutes. Pleasant effect but didn't change my skin much. Accidentally left it on for 20 minutes the next time ( playing with cat) and the next morning had much smoother skin. By smooth I mean deeper lines had massively reduced and finer ones disappeared. Worst side effect just tingly skin. It's a great product. Don't not recommend it just because a patch test was over sensitive. I'll continue to use it and have recommended it to 3 others:-) Hoping to have a go on the boyfriend and reduce some of his lines. Wow this burns my skin! But in a good way. I only leave it on for 3/4 minutes and my skin feels extremely exfoliated and soft. I use it once every two weeks, that enough for me! I am in love! I used it in the evening and when I woke up, my skin had this lovely glow and it looked so healthy. My skin is more even and the blemishes have decreased. This product is now my holy grail! But make sure to moisturize afterwards to balance your skin. When I received the product I immediately thought of returning it because the thought of putting this blood red liquid called a 'peeling solution' on my face was horrifying. Added to that, I live in Barbados (tropical island, blazing hot sun 12 hours a day), and I know acids make your skin sensitive, so I thought, "It makes no sense for me to use this." But I couldn't send it back, so I tried it. Now, let me tell you about my face. All of the skin on my face is durable and not sensitive, except for one miserable patch on my right cheek. It's sensitive and hates manual exfoliation and things of that nature. But I followed the instructions on the box. I gently washed my face to get rid of the day's grime (I took this solution at 4 pm) waited for my skin to dry, and then I applied the product. There wasn't any burning or much stinging, just the feeling of pinpricks under my left ear. I then applied a moisturizing cream and skipped my usual routine. As for the result, my skin was smoother, softer and glowing. The texture is better. This is the first peeling solution I have tried and I have to say I am really impressed. I was originally a bit skeptical about trying The Ordinary products because I already had a pretty good skincare routine and I was afraid switching would make my skin freak out. However after adding up the amount of £ I could save by changing some products I decided to take the plunge and picked up a number items from their range. I have to say I have been really impressed with everything i have tried and this just goes to show that you don't have to spend a tonne to get effective skincare. This peeling solution in particular is an extremely effective exfoliator and leaves my skin looking radiant. My skin is used to acids and so I don't find this too harsh but i can see how someone with less experience would find it pretty full on. For the price I would say try it out and gradually build your skins tolerance. I use it 2-3 times a week for 10 mins at a time and have had no issues. Not what I thought it would be, it hurt my face a bit harsh. I have sensitive skin so might work for people that don’t, it smells of chemicals a lot. I wouldn’t buy it again. The solution is quite strong but does not irritate the skin. I use this only once a week on my skin. With continued use, it has prevented blackheads and fades pigmentation. I have very rough skin and use acids regularly, but nothing has ever made my skin tingle the way that this did the first time I used it. It dries out my skin, even though I follow it up with night creme and face oil, and I haven't really noticed a huge difference. I've been using it twice a week and I can't really say that there has been a huge payoff. It did technically get rid of my larger spots but it felt like it was burning them out, it’s left my skin red raw and stinging (I did a patch test and there was no issue) it’s completely dried out my skin leaving it horribly flaky and sensitive, I have quite oily skin so this surprised me greatly. Do not recommend to anyone. I really love this stuff. My skin looked so glowy and refreshed after using this. There was a slight tingle but it was nice at the same time. This is fabulous - my skin felt so so smooth after it, also looked brighter. I felt a bit of the string but nothing drastic. Would definitely recommend. I use this once a week - sometimes twice because I’m bad and I love the glow it gives and if I have a slight pimple it just disappears. I have acne that I’ve managed to get under control but still suffer from scarring particularly red spots where a pimple was for months after. This really evens out my skin tone. I use a lot of acids and I do get tingles from it which I love. My biggest thing is to not use so much. Only a light layer so my skin is pink tinged from the colour of the product. I don’t get better results the more product I use so use sparingly now from when I first got it. Also, make sure your skin is fully dry when applying otherwise the acids won’t work and it sort of emulsifies. I have had it about 6 months and still have about a third of the bottle left so very much worth it for me. I absolutely love this stuff. I use once a week in the evening after cleansing my skin, and it makes my skin super soft. I've never felt the 'sting' that people have reported upon application. It's not a bad mask but I tried better one. I can't see visible results after its using. I judged this as it was so cheap and I thought it couldn't possibly help my pigmentation like a higher priced brand might. I was so wrong, this stuff is amazing and you can see results after the first use. BUY it!! Usually out of stock everywhere, so stock up. I've used this product few times considering the smell is so off putting but I've used it in my congested areas like T-zone. Where it tingles on my face, it leaves a red itchy texture on my cheeks so I've stopped using it. In all honesty, I've not seen any improvements with the ordinary products. If you have sensitive skin, do not purchase. I love the tingle when putting this on, but aside from my skin feeling very soft afterward, I don't actually notice a lot of difference. I am still going to continue using the rest of the product I have left but I probably won't repurchase. This product is everything! I bought a bottle as soon as it came back in stock and haven't looked back. It does tingle a little bit when you first apply but stick with it, the results are amazing. My face has never felt so silky smooth and I even convinced my 50+ year old parents to try and they are now fans too. So I did a spot test with this and it seemed fine.. tried it just on my nose and it was fine (just to be sure). Then I applied it as instructed on the areas of my face that needed it, needless to say, I had a reaction. My entire face is covered in hives. Where my skin has actually peeled off though, my skin looks amazing and hyperpigmentation is gone. But it has been 5 days and my skin texture hasn't gone back to normal. I love love love this product! I used this once in a week and it really helps me to reduce acne breakout and also dull skin. Leaves my skin soft dewy and glowing. It's a fantastic product and works effectively. I use it once or twice a week. Initially there was a wee bit of stinging- not now. A definite must have. This is one of the products I was really excited to try but honestly, I don’t see a difference at all. If I apply it at night I don’t see a difference in my skin in the morning at all. I think instead of a topical product like this an actual aha/ bha solution might be more effective as the ordinary recommends. I personally didn’t see any differences in my skin at all. I have congested pores mainly on my forehead and it honestly didn’t do anything to them I’ve used the product for 2/3 weeks now. I’ve heard a lot of people say to purchase products that have BHA but this really wasn’t worth the hype in my opinion. I bought this when I popped into the shop in shoreditch and I have to say I couldn't be more impressed. My skin feels transformed. All my clogged pores have gone and my face has never felt more glowing or soft. The bottle is quite small but you only need to use a very thin layer to see the effects! Make sure you moisturise after though to avoid drying your skin out. Omg this product is amazing for congestion, I was suffering from severe congested pores along my forehead and cheeks. I used it 3 times in one week and it cleared it right up. It leaves your skin feeling clean and tight! Make sure to moisturise after as it does dry up the skin a bit. Definitely a must for clogged pores and problem skin. I have used acid for years. This made my skin red and sore for days. I was so looking forward to trying it and it was not only disappointing but damaging. I will stick with their serums. I love this stuff! I was scared at first when I saw the colour and all of the warnings for it's use, but I am so glad I tried it! I don't recommend to use it often though, I use it once a week and that feels like enough. I use this and the Niacemide 10% + Zinc 1% every day and these are a dream combined. Very good for blackheads and texture issues. This product makes my skin radiant and clean. The first word to describe this mask would be "clean" for me. After rinsing if off my combination skin feels purified; but not dry or dehydrated. It gives a bit of radiance, but it cant replace daily use of acids and retinoids/retinols in my opinion. My skin is used to acids, therefore I haven't experienced any sensitivity. I would recommend it if you want to add a booster to your skincare regimen. I gave 4 stars as I don't find the packaging user friendly. This product gives an instantly recognisable boost to my tired and lacklustre skin. I was intimidated by the warnings that came with this but I have to say that although I did experience some tingling after I washed the mask off (and of course loaded on spf 50). It was not an unpleasant sensation and it didn't last very long. It is wise to read the instructions to use it at night before bed to give your skin time out of the sun and ABSOLUTELY avoid broken skin or spots (I applied it only to my cheeks and forehead as I am currently having a stress break out on my lower face). I have combination/oily skin that I am slowly improving after living in a city with extreme air pollution for the last four years. The only other product that has made as much of a difference to my sometimes dull texture has been alpha h liquid gold but as it is more gentle than this it was over a period of use rather than after the first use.